It's Black Friday which means crazy deals, long lines, and for so many people, the kick off to holiday shopping. I don't like to spend too much time shopping during the holiday weekend because I want to focus on being with my family and making memories with my girl. But I do also love to get all my shopping done before December 1, and so many of the sales are hard to pass up. I got up early today to shop a little and thought I'd share a few of my favorite sales to help make your shopping easier, along with a few of the things I purchased so that you can tackle your list with ease and style and get back to enjoying the long weekend with loved ones. I love Club Monaco and their stuff doesn't often go on sale. I am totally eyeing this pleated skirt, this cashmere hat, and these gloves are a favorite of mine. I love these sweatpants for Chris. I can't get over this jacket for Olivia and this pink sleep dress looks so cozy. J. Crew is one of my staples and while they often have great sales, 40% is more than usual. Their holiday collection is so good. I love this turtleneck, these earrings, these shoes and this dress. I am really hoping we need to go somewhere fancy so I can justify it! I ordered this hat for a couple people on my list and Chris is definitely getting some of these in his stocking. J.Crew Factory: 50% off everything. No code necessary. J.Crew Factory always has great deals, but these are really great. I think Olivia would love this necklace and I am totally eyeing these pajamas. Kate Spade is another long time fave with great quality pieces. I love this wallet and this pullover for a cute addition to your activewear wardrobe. I have been eyeing this dress for a while. I also love this one. And these pink boots?! Nordstrom: Up to 50% off select items. You may remember those pink leather gloves I've been eyeing?! They're under $50 now! Shophop has such a variety of great designers and rarely has such a steep discount. I love this scarf and these ruffle sneakers. It's the perfect time to stock up on a great hair dryer and the ultimate curling iron. 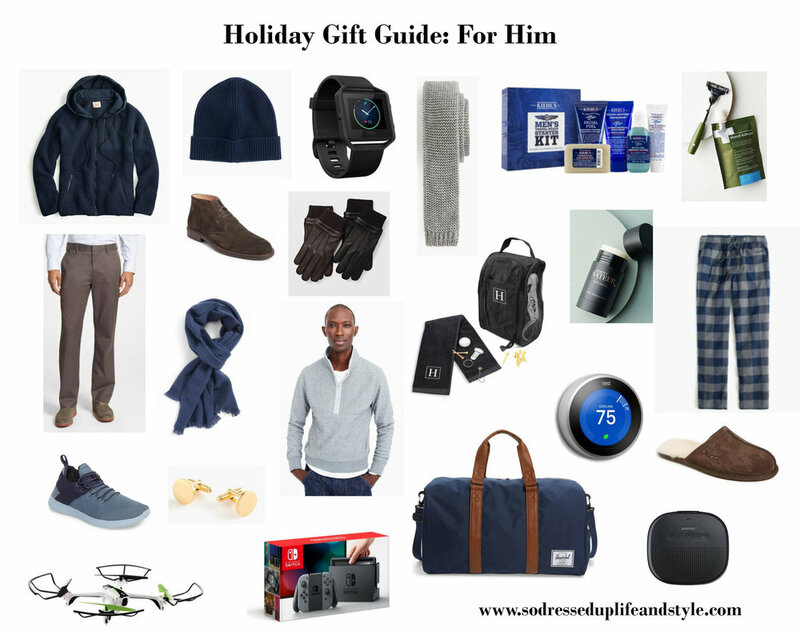 There are so many great items from gift guides that are on sale. 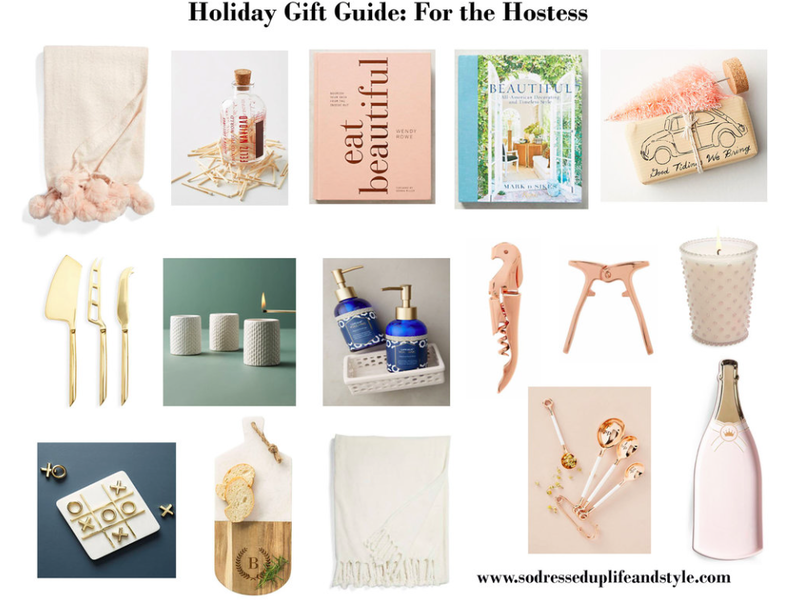 You can shop them all here: Gifts for: Hostess, Him, Her, Baby + Toddler, Stocking Stuffers + Under $50 and our wish list.